PBS SVP Jayme Swain is the first CEO of the Virginia Foundation for Public Media. Executives at six TV and radio stations branded as the Community Idea Stations will report to Swain. The stations are located in cities including Richmond, Charlottesville and Harrisonburg. The Virginia public broadcaster used part of its $182 million in proceeds from last year’s FCC spectrum auction to establish the new parent organization to Richmond-based Commonwealth Public Broadcasting. As part of the reorganization, “we aspired to identify and recruit a superstar in the public broadcasting sphere, and in Jayme Swain, we have found one, and then some,” said VFPM Chair Michael Bisceglia in a press release. 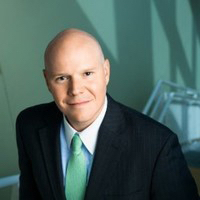 Swain has worked at PBS for six years as SVP, strategy and operations. 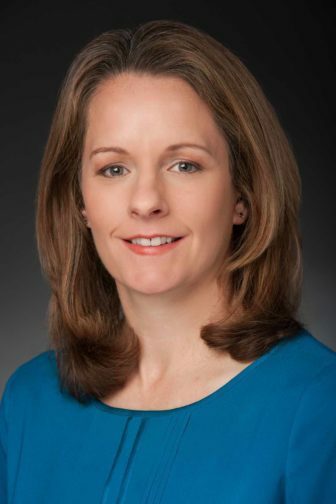 She joined PBS in 2008 as senior director, digital. 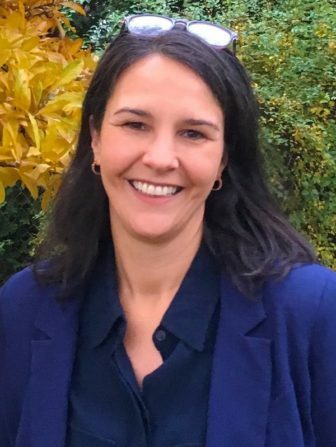 Her previous experience includes working as deputy director at U.S. News & World Report and as a producer at CNN in Washington, D.C.
PBS has hired Maria Bruno Ruiz as VP of program scheduling. 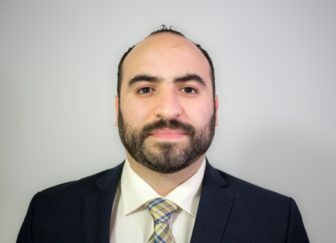 Ruiz, who begins work at PBS next month, is currently director of programming at WGBH. She joined the Boston station as an intern for Antiques Roadshow in 1997. She is a member of the Programming Advisory Committee for PBS General Audience Programming and the PBS Children’s Advisory Committee. She has also served as president and VP of the Public Television Programming Association. “We are fortunate to have someone with Maria’s experience to take on this critical role,” PBS President Paula Kerger told GMs in a Nov. 8 email. Ruiz succeeds Shawn Halford, who joined American Public Television in October. Journalist Tracy Brown will take over as managing editor at WBEZ early next year. Brown, deputy managing editor at the Atlanta Journal-Constitution, begins work at the Chicago station Jan. 14. She will lead more than 40 journalists. Brown has worked at the Atlanta newspaper since 2007 and has also held titles of page one editor, features editor, digital insight/opinion editor and education editor. 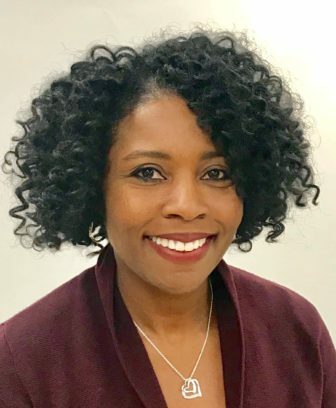 Earlier in her career she worked at the Dallas Morning News as deputy news editor and deputy arts editor, and she reported and edited for the St. Petersburg Times in Florida and The State in Columbia, S.C.
Brown is co-chair of Cox Media Group Atlanta’s Diversity & Inclusion task force. She also taught as adjunct faculty member at Southern Methodist University in Dallas. 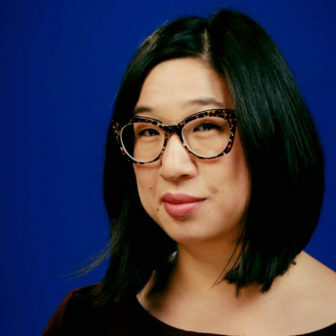 Alaska Public Media has hired Linda Wei as chief content officer, responsible for television, radio and digital programming. Wei is currently director of digital strategies at Nashville Public Television. She also chairs PBS’ Digital Media Advisory Council and was selected as a Next Generation Leadership Senior Editorial Fellow in 2016. Colorado Public Radio in Centennial has hired its first two regional reporters. Dan Boyce will cover southern Colorado, primarily Colorado Springs and the surrounding areas, including military and veterans’ issues. Boyce previously reported on state government for Montana Public Radio and contributed to the public media collaborative Inside Energy. Stina Sieg will be based in Grand Junction and report on the western half of the state, covering topics including land use, agriculture and development. Her background includes reporting at KJZZ in Phoenix and WNCW in Spindale, N.C.
WFYI in Indianapolis has hired Dave Rosenthal as managing editor for its Side Effects Public Media health news initiative. 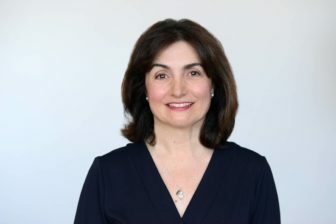 Previously Rosenthal worked as senior director of news and public affairs at WBFO/WNED Public Broadcasting in Buffalo, N.Y., and as managing editor for the public broadcasting collaboration Great Lakes Today. David Purvis is the new chief financial officer and SVP at WETA in Washington, D.C. Purvis oversees the finance, accounting, building services and information technology departments. He also serves as treasurer for the station and NewsHour Productions LLC, a nonprofit subsidiary of WETA that produces PBS NewsHour. He spent the past 16 years working as SVP, finance, U.S. Networks division and studios, at Discovery Communications. Purvis succeeds Jason Daisey, who was promoted to WETA COO last July. Tony Brandon, president of WYPR in Baltimore, will retire next June. Brandon was the first GM of WYPR after a community group led by station employees bought the station, then WJHU, from Johns Hopkins University in 2002. Faith N. Noble will become the chief financial officer at ideastream in Cleveland in January, to oversee budgets, financial forecasts and financial administrative issues at the dual licensee. Most recently, she worked as chief financial and administrative officer at Towards Employment Inc., a local workforce development organization. Luis Perez is the new president of the board for the Association of Independents in Radio. Most recently Perez worked as communications and distribution manager for the documentary producer Scrappers Film Group in Chicago; earlier in his career he spent eight years at Chicago Public Media. Secretary Tena Rubio will also handle vice president duties. She is currently a media center fellow in radio at USC Annenberg School for Communication and Journalism. Rubio’s background includes producing for California stations KCRW in Santa Monica and KQED in San Francisco. Joan Kobayashi, VP and CFO of Greater Public, remains treasurer. Correction: An earlier version of this article incorrectly said that outgoing WYPR President Tony Brandon led a group of community members who acquired WJHU from Johns Hopkins University in 2002. Brandon was the station’s first GM after the acquisition and was president of the nonprofit that acquired it, but former WYPR talk show host Marc Steiner led the effort.